As a general rule all our meals are low sodium. We use fresh ingredients throughout and we do not add salt in the cooking process. The chicken we use is free range, hormone free, not plumped (injected with salt). Sodium level of each meal is in our nutritional information. Low sodium diet is usually prescribed to those who suffer from congestive heart failure, renal disease, high blood pressure and more. Physicians usually ask their patients to keep their sodium intake to less than 2000 MLG per day. In extreme case they will limit their patients to 1500 MLG per day. There is no such thing as no-sodium (or zero sodium) as most ingredients have natural sodium content. 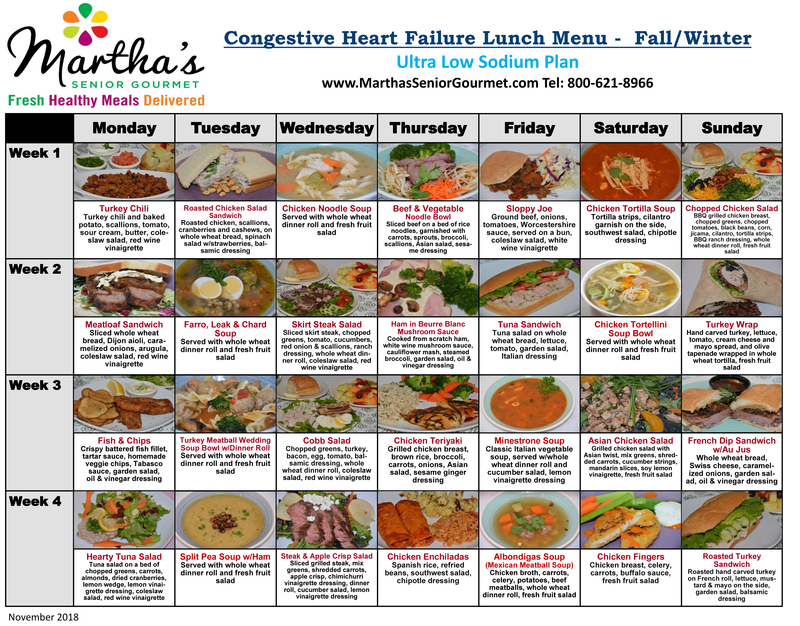 Customers with CHF (congestive heart failure) should be on low sodium diet to prevent water retention that leads to hospitalization. 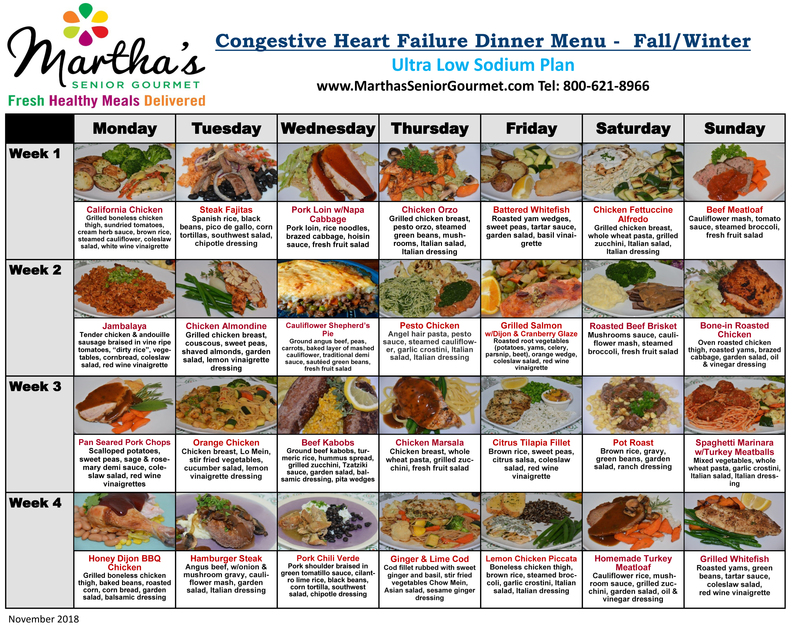 Low sodium meals delivered - Place your order for a low sodium diet Lunch, Dinner or Combo today!